LeEco now have more of their smartphone products in market as they are planning to launch another smartphone with 18.9 aspect ratio design this year. LeEco Chinese company releases the photos of the new full screen device which was spotted on China's social media website Weibo. 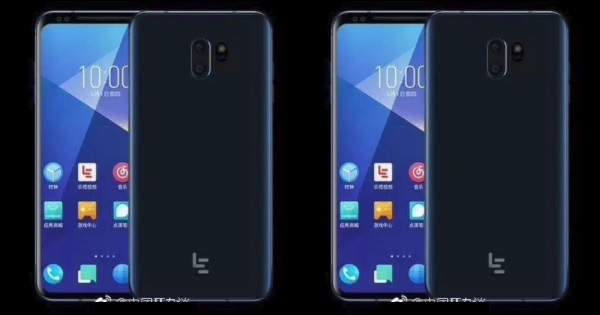 Though the release date is yet to be discloed hoping soon to be launched, according to post from the mentioned website it is said that the phone will be named 'Le X' and will come as specified. Let quickly talk about it specs, checking the photo we could see it having a curved deges at both the front and back and the screen -to-body ratio as specified. It has dual camera consisting of two vertically arranged sensors with dual LED flash. This is proposed project from LeEco so no one has ever use it before but judging from the reports and the photo, it worth buying and in a short while we have it entering market for sales.